A French novelist and essayist, he is best known for the seven-volume, 4,300-page novel, In Search of Lost Time (also known as Remembrance of Things Past). His other works include Swann's Way and Time Regained. He was a sickly child who suffered from severe asthma attacks. He began attending the Lycee Condorcet at the age of eleven and later served in the French Army. His famous novel, In Search of Lost Time, is known for its length as well its reputation as one of the greatest works of modernist fiction. 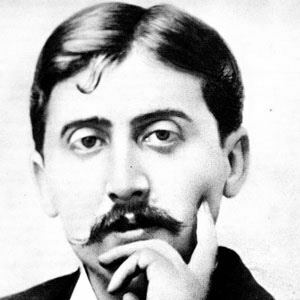 He was a homosexual who based one of his famous characters on his lover, Albert, whose name he feminized to Albertine to better serve the novel's plot. His father, Achille Adrien Proust, was a renowned epidemiologist. He was referred to by English author Graham Greene as the greatest novelist of the 20th century.